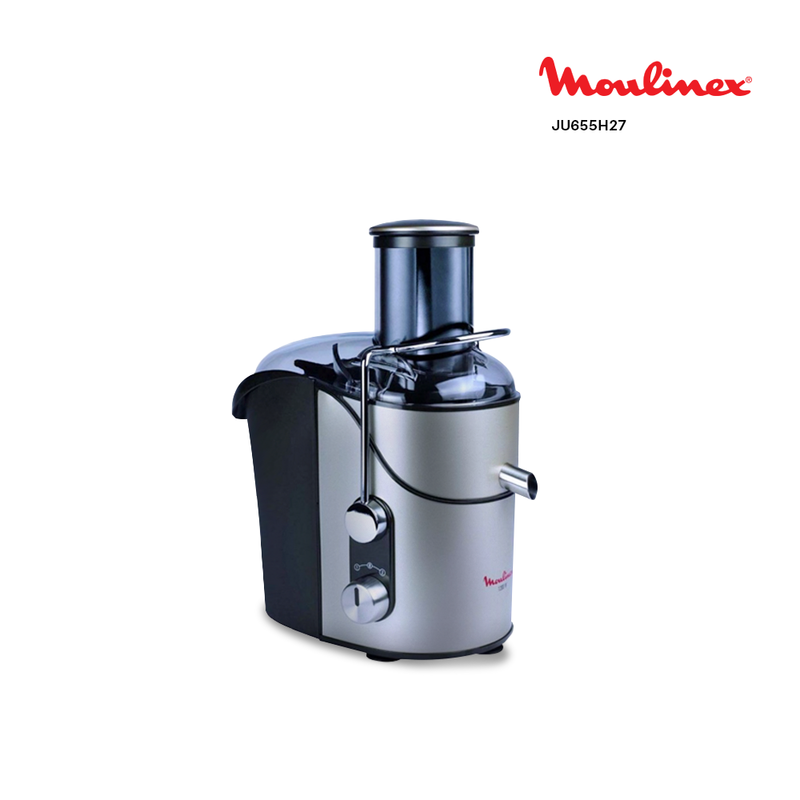 The Moulinex JU655H2 Stainless Steel Centrifugal Juice Extractor flaunts a body that is aesthetically designed with multiple features to meet your daily requirements. The juicer is made of stainless steel and comes in a polished silver finish. It is has a powerful 1000W motor that gives a superior performance overall. The appliance has a capacity of 2L that can accommodate a large quantity of liquids at once. This centrifugal juice extractor features a wide tube that grinds big chunks of fruits and vegetables instantly. You can adjust the speed of the machine according to your preference with the help of two speed settings. The versatile kitchen appliance includes a 1.2L jug and a 2L pulp container for your convenience.